The best things in life come as fulfillment of a promise from someone who has the power to make and fulfill promises. A promise is a covenant agreement between the promise maker and the receiver of the promise. We are aware of many promises that have been made to us and kept. But we’re not aware of many more promises that people, like parents, have made on our behalf that have resulted in blessing and provision in our lives growing up. Anybody can make a promise, but that’s not what is most important. 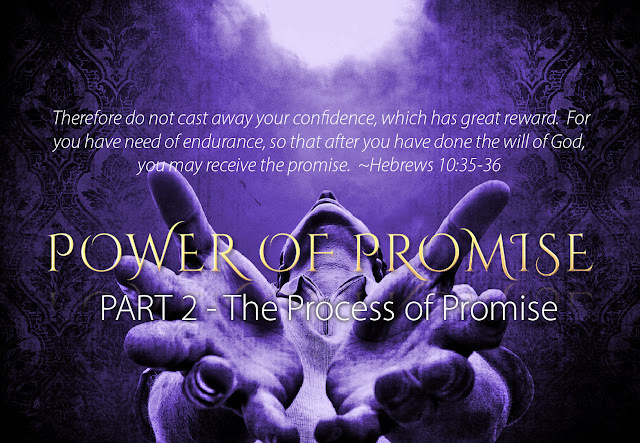 What is most important is this: Does the one who makes the promise have the will and power to fulfill promises? In life, we have to navigate a landscape that is full of promises fulfilled and promises broken. We learned about the of a promise and we grow to appreciate the power of promises, or what a promise can produce in our lives. It’s always important to have faith in God and to have confidence in what God has giving you. We don’t have faith in ourselves because we don’t have to power to do what God can do. We should have confidence in what God has given us and what He has asked us to do. For all of this He gives us grace. Jesus is both God's promise to us and He is the promise maker.